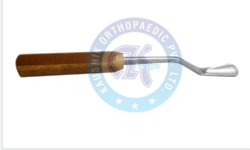 We are engaged an exclusive range of premium quality Harrington Spinal Instruments to our esteemed clients. We use excellent quality raw material to fabricate these equipments. The ranges we offered to the clients are available in varied features to meet their variegated requirements. Our range consist Harrington Rod and Luque Rod. With that perfect shape recommended by International standards, our Luque Rod are made with utmost care and precision. 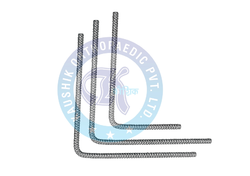 We''ve earned expertise and lot of accolades for doing a great job in manufacturing these important rods. We are engaged in the manufacture and supply of premium quality Cobs Elevator, which are made of high grade raw materials and have excellent finishing. 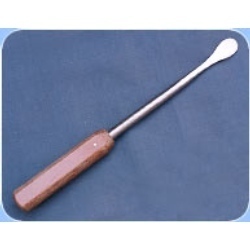 Due to reliability, durability, corrosion resistance, easy to use operations etc. , our products are acclaimed world wide. These are manufactured under the able guidance of our technical and professional experts who are engaged round the clock to ensure that these are as per industrial standards. These are available at most competitive prices and as per our clients’ specifications and dimensions. 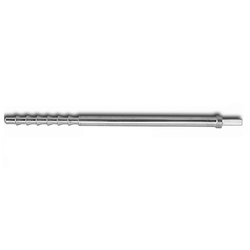 Looking for “Harrington Spinal Instruments”?